Mental health is very important to the brothers of Sigma Alpha Epsilon but can be a sensitive subject for many. Because of this, we will be hosting a two hour fundraiser in support of Hilinski's Hope on April 20th from 5-7 PM at the Loose Cockaboose, in order to destigmatize and bring more awareness to mental health in college athletics. Please donate and attend our event, with each entry ticket including a free BBQ dinner and music! Your financial support and attendance would be greatly appreciated! 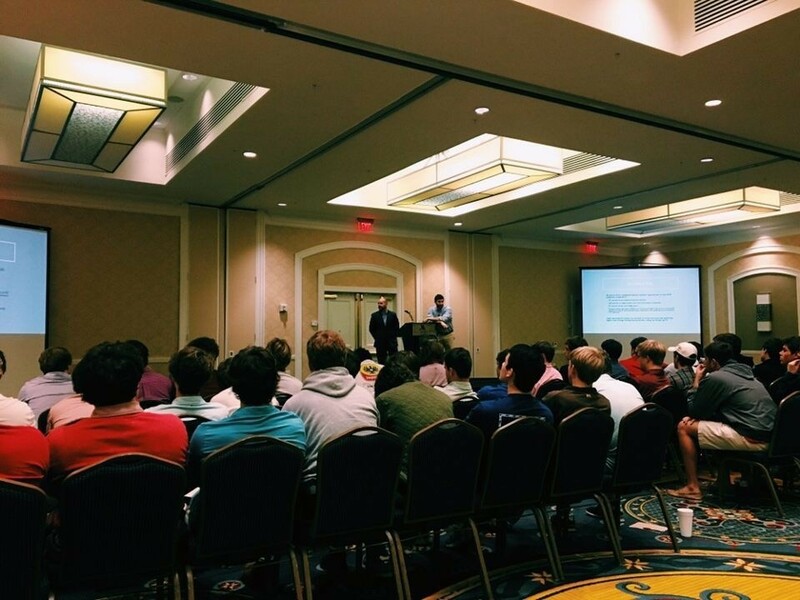 On December 3, 2018, SAE SC Delta hosted Dr. Michael Kanwisher at the Columbia Marriott for an Alcohol Awareness seminar. 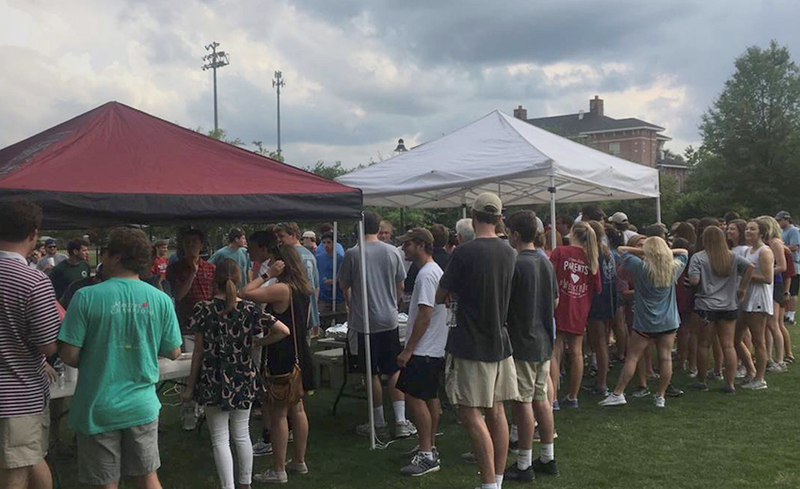 The entire Greek community at USC was invited to attend to learn about the biological nature of alcohol and its effects on different parts of the human body. This seminar was effective as it engaged the audience with the realities of binge drinking, and it provided actual scenarios that many college students find themselves in. 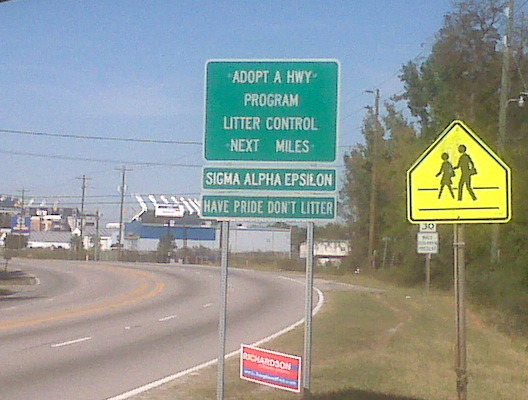 Every year, members of the chapter commit themselves to keeping Columbia highways clean. This area is Bluff Road not far from the Carolina Williams Brice Stadium. 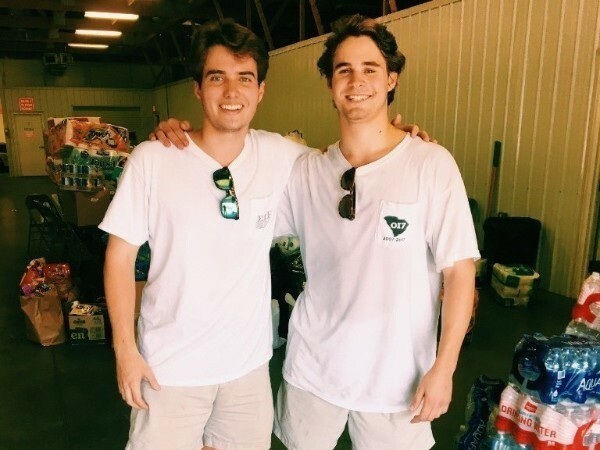 Over the weekend, members of Sigma Alpha Epsilon and Lambda Chi Alpha volunteered with Columbia Relief to organize supplies and make deliveries to those affected by Hurricane Florence. Luke Rankin, Vice President, is pictured with Dan Schneider from the chapter. Last week EA Bernie Herbkersman, Tommy DiBona (VP Internal) , and George Loizou (Risk Manager) went up to Camp Kemo where we donated and served a catered meal along with members of KA and KD. 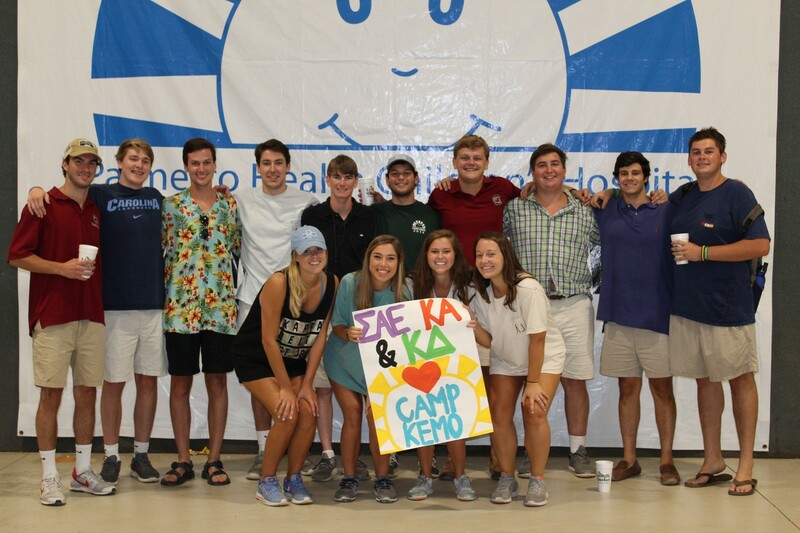 Harrison Lapin (Philanthropy) and Cameron Thomas Stringfellow volunteer for the camp each year and spend over a week with kids fighting various forms of cancer. 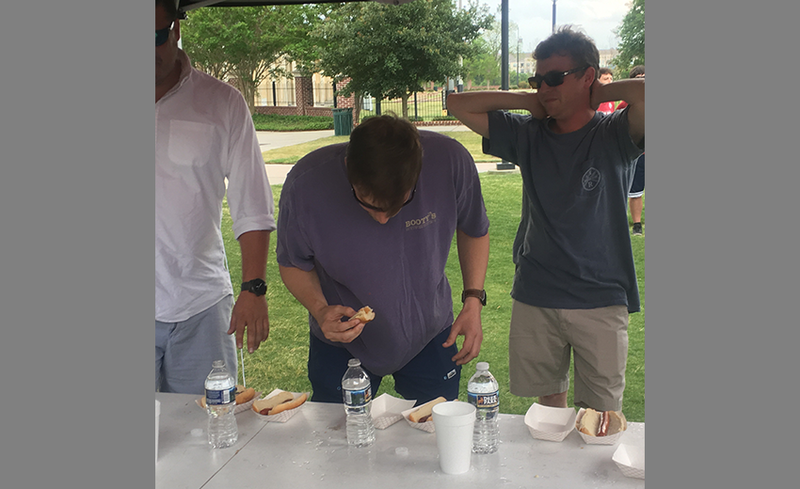 On the afternoon of April 8, 2017, SAE SC Delta partnered with Kappa Alpha Order and Sigma Nu for a fun filled philanthropy event to raise money for the Cole and Stacy Sawyer Foundation. 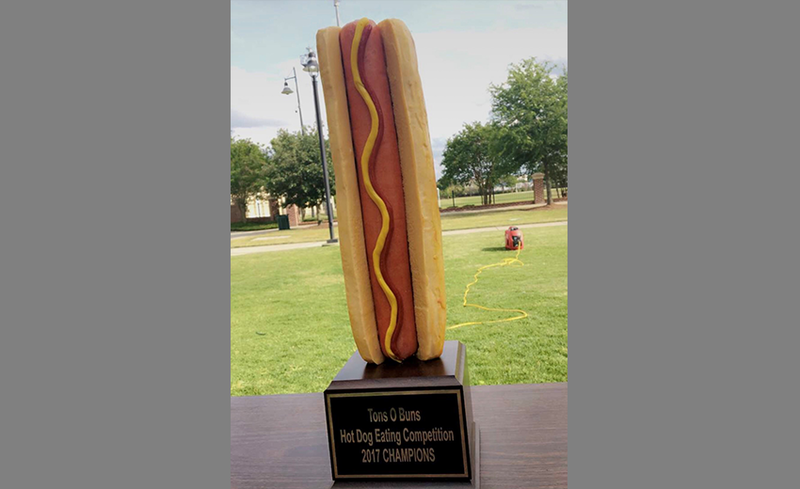 The organizations raised a combined $3,000 in the ‘Tons O Buns’ hot dog eating competition. Money was raised through fees of entering the competition and concession sales for spectators. The entry fee for each team was $100. 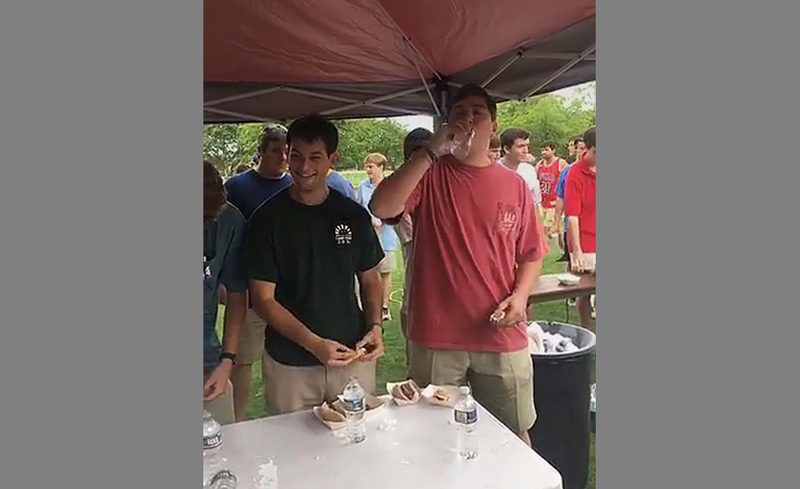 The competition was organized like this: two teams facing each other at a time, the group eating the most hot dogs in five minutes was declared the winner. Anyone was allowed to participate including students, alumni, Greek staff, and others. 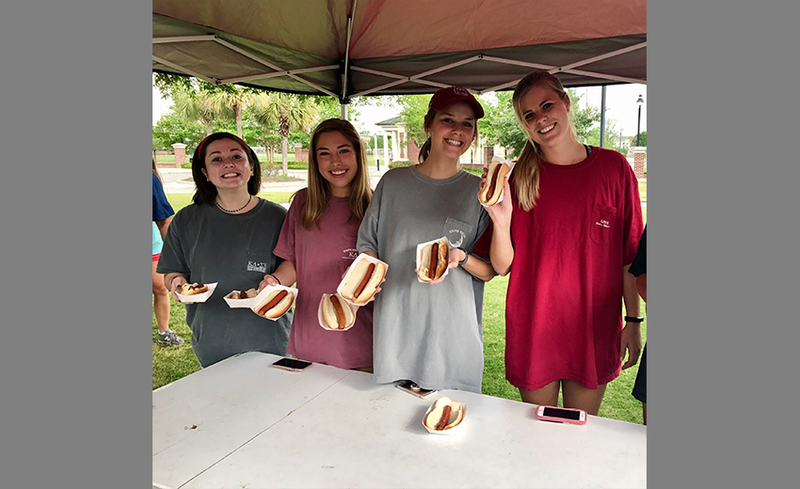 The hot dogs were donated by Ole Timey Meat Market. 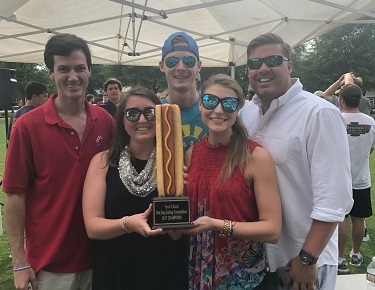 All proceeds of the event went to the Cole and Stacey Sawyer Foundation to support their efforts in building a camp facility for children in need. The hot dogs were cooked by Scott Sawyer, the father and husband of Cole and Stacey. Not familiar with the Cole and Stacey Sawyer Foundation? The foundation was created in honor of Cole Sawyer, and his mother, Stacey Sawyer. Cole was an energetic and vibrant child who enjoyed swimming, skateboarding, and cheering on the South Carolina Gamecocks. He had a positive outlook on life despite being diagnosed with Rhadomyosarcoma, a cancer of the muscle tissue. He attended Camp Kemo a few months before his death, a place for cancer patients and their siblings. Here, Cole felt welcomed and safe. Cole passed away on November 6th, 2004, and ever since, his family was constantly involved in Camp Kemo and the creation of other similar camps. Sadly, Cole’s mother passed away in February 2016 from a neurological stroke. Today, the Cole and Stacey Sawyer Memorial Fund is a way to honor the lives of Cole and Stacey as well as a way to preserve Stacey’s dream of helping to fund a permanent retreat and camp facility to children whose lives have been affected by pediatric cancer, serious illnesses, and disabilities, along with children of the South Carolina Midlands who are in need. The organization is committed to raising money to build this specialty camp in the South Carolina Midlands area so these children can have a meaningful camp experience, much like Cole did.